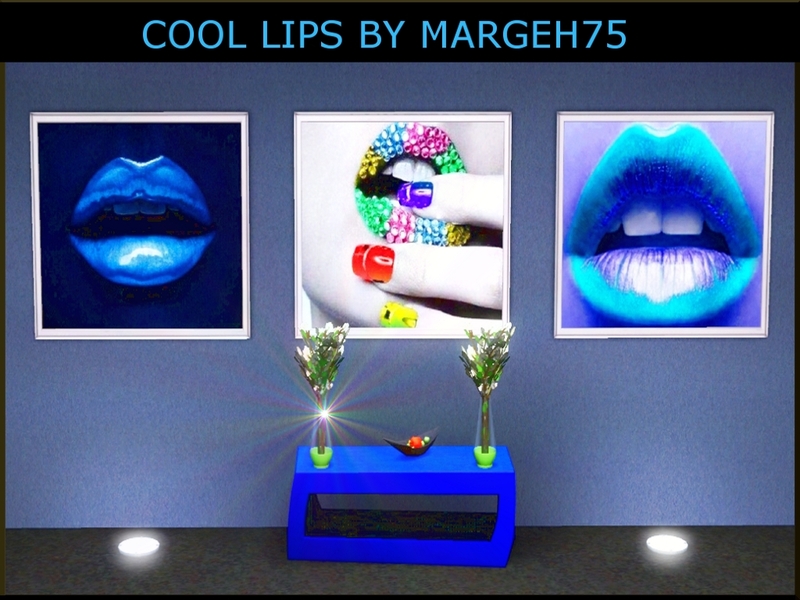 A set of cool funky lips :) These would look awesome in a salon or in an Art gallery in your game :) enjoy! Very nice pictures on the wall :) Great job dear Margie. Have a nice day. My Fav. is the second one. hahaha imagines your sim kissing the wall lol!! thanks! the hardest part was the presentation!